Imagine an old style western boom town where old-time customs and values are combined with modern technology. That is what you will get in Norco, California which is located in Riverside County and about an hour’s drive east of Los Angeles depending on traffic. Interstate 15 runs through the middle of it from south to north and to get to Los Angeles you will take the CA-60 W for approximately 23 miles. This makes it the ideal place for families to settle down and look into the Norco real estate market. The population as of 2013 was a little over 27,000. 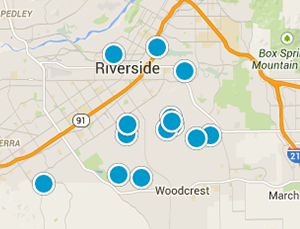 Real estate in Norco ranges from smaller, older ranch homes to gorgeous luxury homes - with lots of horse properties. What Makes Norco, CA Great? Norco gets its name from abbreviating the “North Corona Land Company” which it was termed by the city’s founders. It is a small town at just over 14 square miles where animals, particularly horses, are still very popular. Each year there are several rodeos held there and many people opt to ride their horses across more than 100 miles of horse trails. There is trail riding in the grassy hillsides to the quiet Santa Ana River basin. In many cases the stores and restaurants located in Norco have a hitching post near the entrance because in this area you will find one of the few remaining places in California where old time values still hold true and people are just as likely to drive as they are to take their trusty steed. Is it any wonder that this history filled town with over 400 acres of parkland is known lovingly by all who visit as “Horsetown USA”? Norco is home to the western campus of Riverside City College and the Center for Applied Competitive Technologies. Beyond the educational side of things, families who consider moving to Norco often wonder what there is to do within this amazing town. Just because it is “Horsetown” does not mean that you must have a love of horses or use them as the sole source of entertainment. Check out this website to find local restaurants, events, etc. in Norco. Norco also offers a variety of dining experiences for tourists and locals to enjoy. If you are in the market and looking for a new home in California, you need not look any further than the Norco real estate market if you want to enjoy old fashioned fun combined with the simple life. This is a great place live, to raise a family or enjoy the retirement years in style.